I am, as any who knows me will testify, fascinated by new music in its many guises, and if something catches my interest I will seek it out. This album is one such example. I read about it on a friend’s Facebook page and the description of ‘Yacht Rock’ caught my attention, so here I am some time later offering a review for you, dear readers. Yacht Rock was a term used to denigrate highly successful and high earning, mainly U.S. West Coast musicians like Boz Scagg, Toto, et al, and generically soft radio rock. This album falls well outside of that particular description as it is primarily a Nordic singer songwriter who also deploys electronic dabblings which, when set to his soft tones, creates an album of rare intimacy and beauty. Another strong track is Silence which also opens with a strong guitar section with reverb on display – the song again sounding really strong. 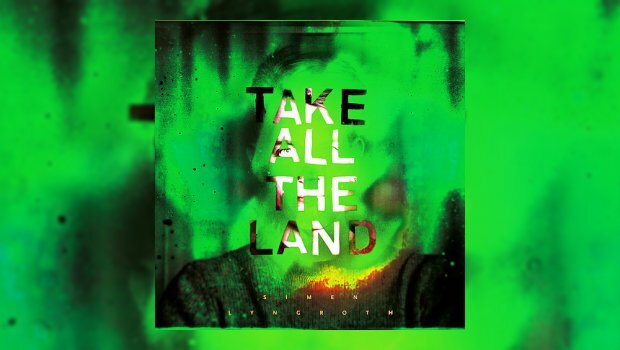 Take All The Land is most probably a sleeper album whose impact will only hit when heard repeatedly over a few days, but either way it’s an album that shows great promise from this young man. Very impressive, very relaxing and one to chill out to on a late night listening session. I really enjoyed it.